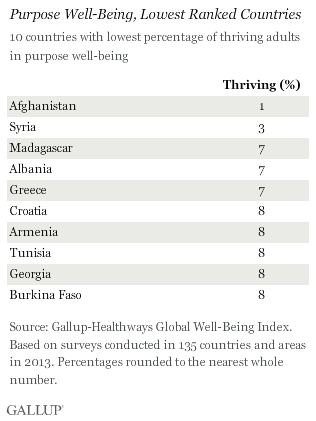 WASHINGTON, D.C. -- Fewer than one in five adults worldwide can be considered thriving -- or strong and consistent -- in levels of purpose well-being, as measured by the inaugural Gallup-Healthways Global Well-Being Index in 2013. 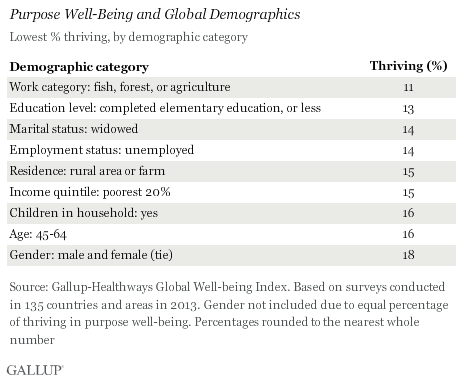 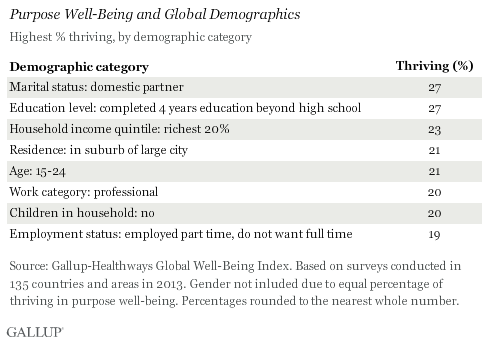 Residents living in the Americas are the most likely to be thriving in this element (37%), while those in Asia and the Middle East and North Africa are the least likely (13%). 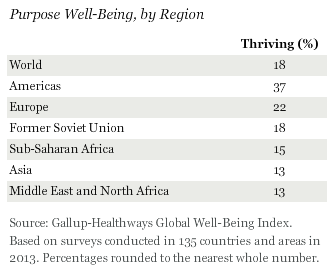 People in West African countries affected by Ebola rated their healthcare among the world's worst before the outbreak. 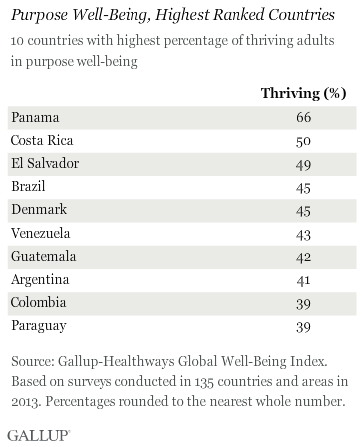 More than seven in 10 in Guinea, Sierra Leone, and Liberia were dissatisfied with the availability of quality care.